Preheat oven to 180°C/160°C fan-forced. Line a slice tin with baking paper. 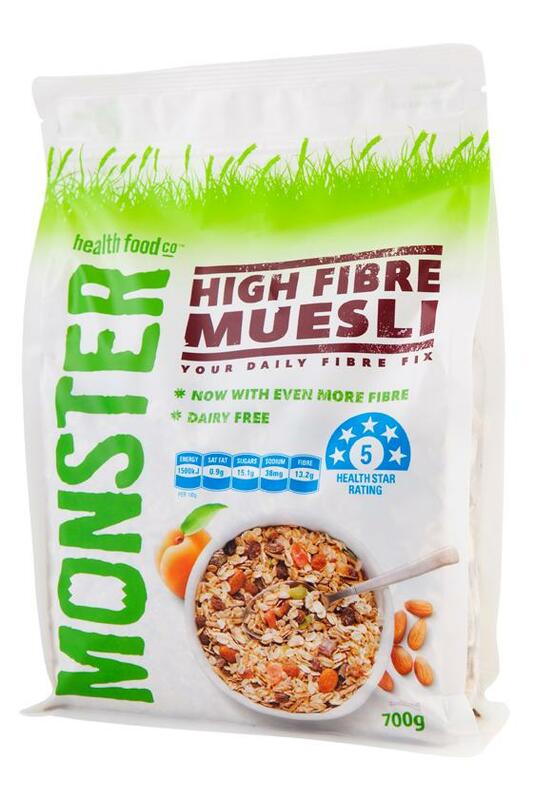 Combine High Fibre Muesli, shredded coconut, almonds and fruit in a large bowl. In a pot, heat coconut milk and vanilla essence on low heat until thickened. Add coconut milk and stir until ingredients are thoroughly coated. Press mixture firmly into slice tin. Bake for 15-20 minutes until set and golden. Place chocolate in a microwave-safe bowl. Heat on High in 20-second bursts, stirring after each, until melted. Spread evenly onto baked slice. Chill in refrigerator until chocolate has set. Gently cut into rectangles and serve.